When I read many of the great Catholic authors of the 20th century – G.K. Chesterton, Bishop Fulton Sheen, Flannery O’Connor, Romano Guardini, and others like them, it seems to me as if they are writing today and witnessing the same distorted elements of the secular neo-pagan culture we see everyday. I think that many of these writers were prophets in their own times – for they saw then what was coming to the world in which we live in today. To understand the present, I believe we must look into the past. So for today’s “Mondays with Mary”, I draw from one of the great Catholic Bishops of the mid 20th century, a figure I spoke about from above, and fan favorite of many devout Catholics today – Bishop Fulton Sheen. 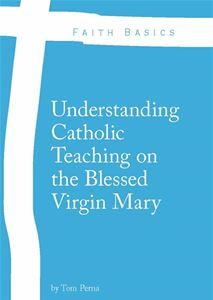 In his book, The World’s First Love – Mary, Mother of God, Bishop Sheen writes about the contrast between today’s modern philosophies and the fourth Marian dogma – The Assumption of Mary into Heaven, which by the way is today’s Solemnity. Although I would love to explain in great detail the words of Fulton Sheen to you, I just don’t have that kind of time nor should you hear it from me. Reading him your self is the best option since I only have a small fraction of his intelligence. The modern philosophies that Bishop Sheen begins with are Darwinism, Marxism and Totalitarianism. He continues down the rabbit hole of modern secularism by explaining the damages of not only the three philosophies above, but also dives into Jean-Paul Sartre and Sigmund Freud – two philosophers that have sowed countless seeds of confusion and distortion regarding the human person and human sexuality. Each of these modern philosophies has developed like weeds, seeking to destroy the fruit that grows around it – and this is what we witness today in our modern culture. This however is only one side of the battlefield, for the Assumption of the Mary into Heaven brings light into the darkness, pouring upon us Love and Life. Even though the modern world seems to be heavily steeped in the philosophies above, the Assumption of Mary takes these head-on and insures us that these philosophies are bound to fail, finding themselves upon the trash heap of history and eternity. It is in Love and Life that the Assumption finds its home and rest. Assumption of the Virgin Mary, Rubens. 1. “This ‘pull’ on our hearts by the Spirit of God is always present, and it is only our refusing wills and the weakness of our bodies as a result of sin that keep us earth-bound…If God exerts a gravitational pull on all souls, given the intense love of Our Lord for His Blessed Mother that descended and the intense love of Mary for her Lord that ascended, there is a created suspicion that love at this stage would be so great as ‘to pull the body with it’. In a time, when humanity seems to care nothing for the supernatural that pertains to God, let us ask for the intercession of Venerable Bishop Fulton Sheen to intercede for not only our country, but for all of humanity. Let us pray that the Assumption of Mary will wake up the world to beauty, love, and life – the same Beauty, Love, and Life that not only died for the world, but also intercedes on its behalf. Blessed Virgin Mary, in your Assumption, as the Immaculate Conception…Pray for Us.